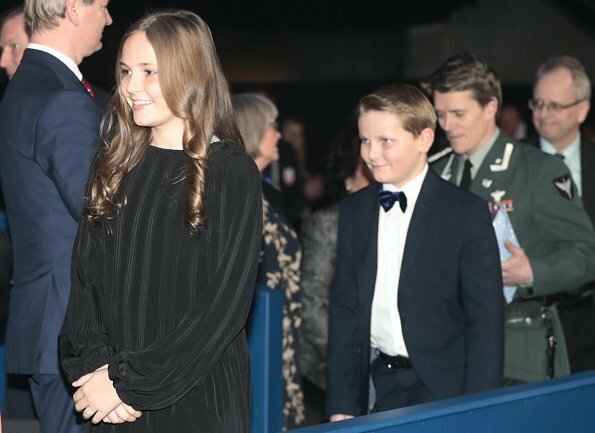 In the evening of December 11, Crown Prince Haakon, Crown Princess Mette Marit, Princess Ingrid Alexandra and Prince Sverre Magnus attended Nobel Peace Prize Concert held in honour of ICAN which won 2017 Nobel Peace Prize, at Telenor Arena. 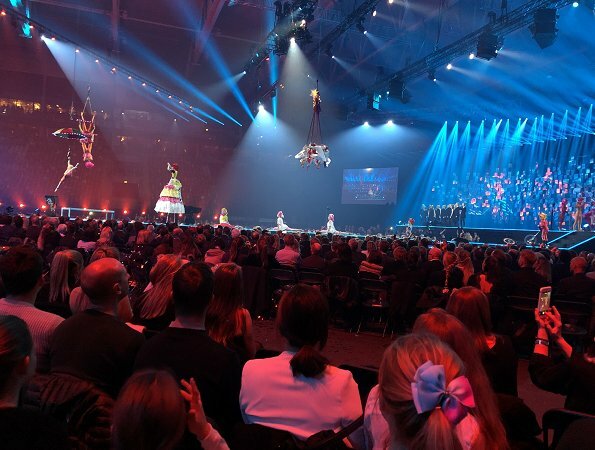 The concert is broadcasted live by NRK and presented by a team consisting of artists who came from all over the world. ICAN which conducted an international campaign to abolish nuclear weapons was deemed worthy of 2017 Nobel Peace Prize. No MM.... Just no. Why So much black ? Looks like a sort of funeral. I like the dress but I think I'm already on record for liking black for evening wear (and at other times too!). But why the white shoes???? Most of the time MM wears black stockings and black shoes … and to this dress it would actually have looked better than the bright stockings and the white shoes!! I don't like any peace from the H+M Erdem-collection really, but this dress is so much better than the other one, which looked like a nightgown. With black stockings (perhaps silver shoes) it would have looked more complete. OMG you woman are hopeless. 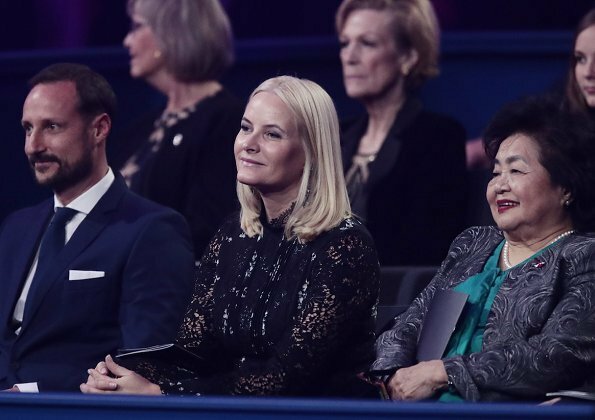 Mette-Marit doesn't have any stockings on as we all can see and her babyblue shoes goes great with the dress. This is good, I personally like the shoes to this dress. Since the flowers are in the same color as her shoes, it makes the dress pop. Stop being so conservative ladies! I like the dress, this is even one of MM better looks. Ingrid Alexandra looks so cute with the curly hair! ik hou niet zo van haar stijl ! !